We all understand the pleasure that eating can bring; however, when you are first diagnosed with diabetes, knowing what to eat can be a problem. Instead of being pleasurable, eating can become a troublesome necessity. Suddenly you need to understand a lot more about what you are eating and how it may affect your blood glucose levels. There’s a lot to learn. There’s also a lot of confusing information about ‘diets’ in our community with low carb, high carb, high protein, cleansing and detox diets making everyone an expert on what you should and shouldn’t eat. 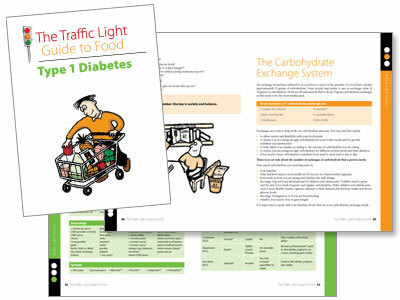 The Traffic Light Guide to Food has been helping people manage their diabetes since it was first published in 1975. With this new edition, the team at the Diabetes Education Centre and Paediatric Diabetes and Endocrine service of Royal North Shore Hospital, in particular our dietitians, bring you the latest information on food based on current dietary knowledge and practice. Please note that the eBook version is for reading and using on tablets or other reading devices and not printable.